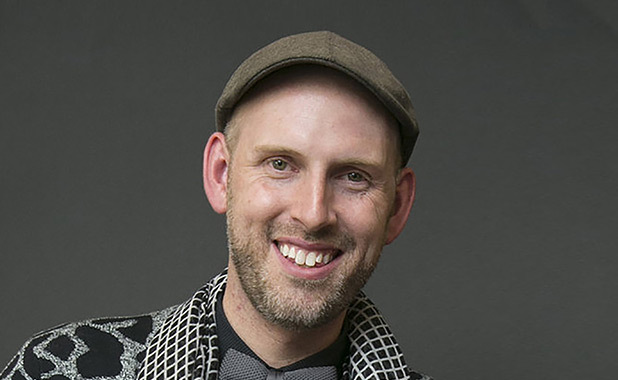 Justin LeBlanc was one of the designers of Project Runway season 12. He was eliminated during episode 7, but Tim Gunn decided to use the save on him, giving LeBlanc a chance to get back in the game. He continued to impress the judges until the finale, where he finished in third place. He currently resides in Raleigh, North Carolina, where he works as an assistant professor in the College of Design at North Carolina State University. He received a masters of design in fashion, body, and garment from The School of the Art Institute of Chicago. He has also interned for Alexander McQueen and Nick Cave. In 2014, he joined the cast of Project Runway All-Stars Season 4. LeBlanc is known for his usage of 3-D printing and innovative textile manipulations in his collection. The 2018-19 collection is inspired by the night LeBlanc married his wonderful husband, Kyle, capturing the joy and celebration of an incredible celebration.